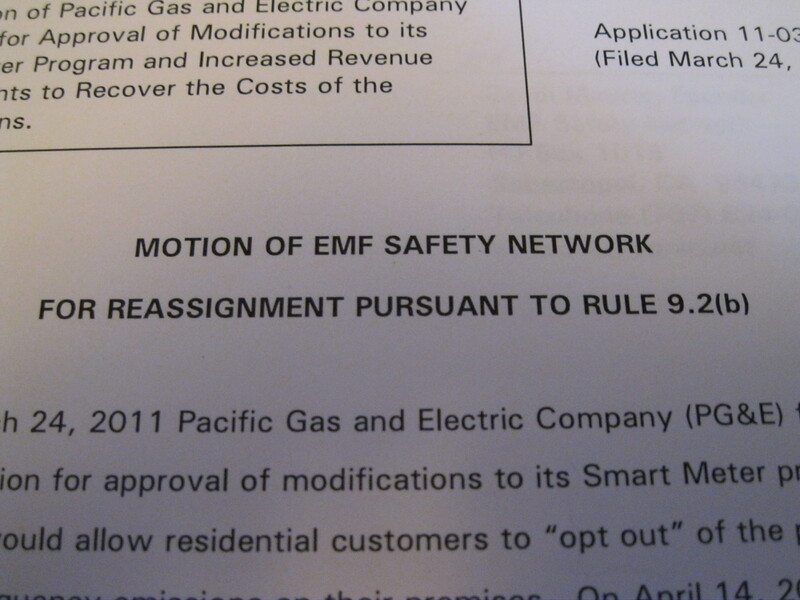 Today the EMF Safety Network filed a CPUC protest to PG&E’s Smart Meter opt-out proposal. In addition Network is requesting reassignment of the Administrative Law Judge , Timothy Sullivan. Sullivan was the judge who parroted PG&E’s unsubstantiated safety claims and proposed dismissing our original CPUC application. burden and will harm ratepayers. financial burden for the failure of the Smart Meter program. See the following video about Smart Meter radiation. Listen to the clicks to see how often the meters are transmitting, and compare that to the FCC claims. I’d be interested to know where a public utility company or state regulatory agency could be found guilty of breaching public trust, committing fraud, violating consumer rights and inappropriate and unethical conduct that falls short of the business standards most agencies and businesses are otherwise held to when it has deliberately manipulated and misled the print and broadcast media resulting in a misinformed general public. No matter how sheltered the California Public Utilities Commission may be, does this excuse it from abiding by the law where its actions would otherwise be judged as criminal? 1. Pointing media to the PG&E Web site which had stated that 39,000 SmartMeters had been installed in Lake County when at that point in time, only 2,500 meters had actually been installed. 2. Declaring a “delay installation” list that customers can be placed on through the PG&E SmartMeter phone line and then ignoring the list and not enforcing it when it comes to SmartMeter installations. 3. 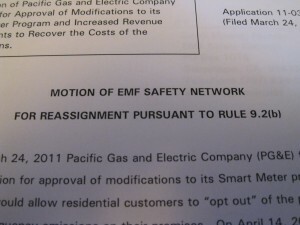 Leading the public to believe that an opt-out position would be considered or provided down the line for those customers who choose to opt-out while concurrently beefing up installations of SmartMeters so that by the time this provision was there, it would be moot since the entire deployment would be considered “mission accomplished.” That’s a shell game. Regardless of the code that the CPUC cites as its operating guidelines, it’s clear that the CPUC is using its mandate as a shield to defend the commission against allegations that could hold water in court. In matters where it can be shown that the public trust, health and welfare are disregarded and a state regulatory agency yields to industry’s demands while ignoring the people that it is chartered with protecting, I would think that the law provides recourse against such abuses of power. No matter what the circumstances, the CPUC cannot hold itself above the law and where ethical and legal lines have been crossed, they should be held accountable to the people of California. Howard Glasser lives in Kelseyville, Calif. 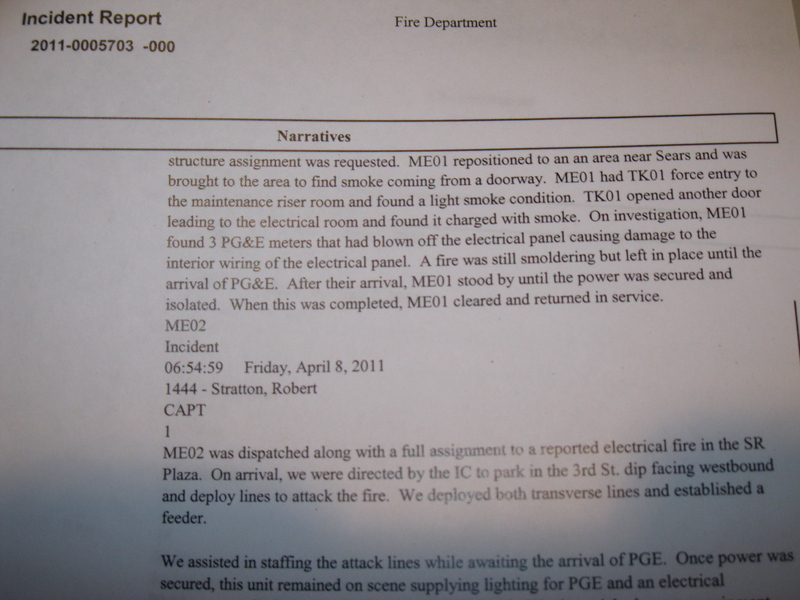 The cause of the fire is listed as equipment failure and arcing coming from the switchgear area, and transformer vault. According to a Press Democrat article, Santa Rosa Battalion Chief Jack Piccinini described the scene as a “meltdown”. EMF Safety Network has been informed that the electrical room was filled with Smart Meters, which have been reported to explode and catch fire in other areas, including Bakersfield, El Cerrito, Berkeley, Oregon, Virginia, Texas, Canada and New Zealand. Inspectors in Maine and Australia found thousands of homes were at risk for electrical hazards from Smart Meter installations. PG&E has admitted Smart Meters have interfered with GFCI and AFCI’s, which are electrical devices designed to protect against fires and shocks. “Smart Meters are dangerous and PG&E and the CPUC should act now to stop the installation” states Sandi Maurer, EMF Safety Network. Recent news articles warn both the utility industry and investors over the consumer pushback against Smart Meters. The report suggests that the announced sale of Landis & Gyr, who make PG&E Smart Meters, coincided with the US Smart Meter protests where women opposing the meters over radiation concerns were arrested. On November 4, 2010, I filed a complaint with the FCC, and yesterday received the following response. You are receiving this email in response to your inquiry to the FCC. Thank you for contacting the Federal Communications Commission. This letter is in response to your complaint, 10-C00258888, filed with the FCC. PG&E’s SmartMeter program is part of a statewide effort driven by the California Public Utilities Commission (CPUC) to upgrade California’s energy infrastructure with automated metering technology. This technology will enable new programs that help California energy customers use less energy and save money. The SmartMeter system uses programmable solid-state meter technology that provides two-way communication between the meter at your home or business and the utility, using secure wireless network technology records hourly meter reads and periodically transmits the reads via a dedicated radio frequency (RF) network back to PG&E. 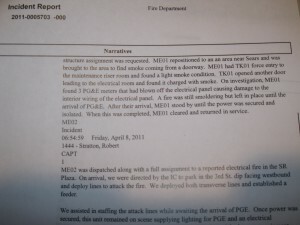 Please reference PG&E’s web site concerning questions about potential health effects related to radio frequency (RF) emissions from the meters,http://www.pge.com/myhome/edusafety/systemworks/rf/. The California Council on Science and Technology released a preliminary study entitled “Health Impacts of Radio Frequency from Smart Meters”. You may view this study at: http://www.ccst.us/publications/2011/2011smartA.pdf. The Federal Communications Commission (FCC) has adopted Maximum Permissible Exposure (MPE) limits for radio transmitters of all types, including SmartMeters. The FCC standard provides a currently accepted factor of safety against known thermally induced health impacts of smart meters and other electronic devices in the same range of RF emissions. Exposure levels from smart meters are well below the thresholds for such effects. There is no evidence that additional standards are needed to protect the public from smart meters. This letter is to inform you that as a California utility customer, I demand the removal of wireless utility meters, and wireless Smart Grid infrastructure and an immediate restoration of analog utility meters. The World Health Organization has classified radio frequency electromagnetic fields (wireless) a possible carcinogen. It is a violation of our rights to force the installation of wireless devices upon utility customers without fair process of public or environmental review, or proof of safety. I demand an investigation and evidentiary hearings into the safety impacts of wireless meters, including over billing, interference, burned out appliances, fires and explosions, and health complaints. The people of California deserve an opportunity to be heard. Paying to opt-out is an inadequate responses to the problems consumers are experiencing. A pay to opt-out option is only available to the wealthy. This option is not equitable and therefore may be illegal. In addition, paying to opt out of a safety hazard is wrong. We are already paying more for the Smart Meter that we don't want. We want the same reliable service of an analog meter with a meter reader, and at no additional cost. Impose an immediate moratorium on wireless utility meters and provide immediate relief by restoring the analog meters! Thank you for your prompt attention to this matter! By pressing the "Send" button you are sending the following message by e-mail directly to the CPUC. A copy of the message will be sent to you and the website administrator. THANK YOU!